WHERE SHOULD THE SPEAKERS GO? 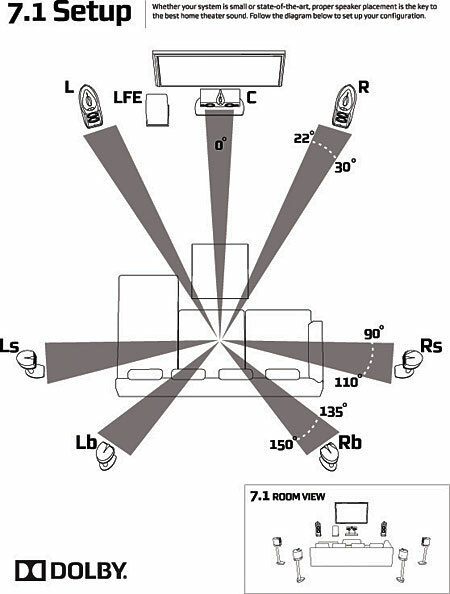 A basic 5.1 home theatre system (in 2014) is very straightforward. 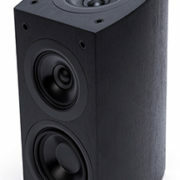 With the surround (rear) speakers, 99.9% of salespeople and so-called home theatre experts would say the speakers need to be installed up high, in the corners of the room. 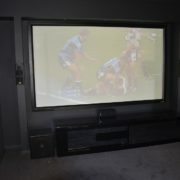 That’s just doing it all wrong in a home theatre environment, that is just incompetents and/or laziness on their part. The reason it is wrong is that there are standards with speaker placements, and in post-recording of a movie, the sound director will have their speakers placed in this specification. When sitting on the lounge our heads are not at ceiling height, what it means is that the speakers should be at about 300mm – 600mm above the seats, so ideally speakers should be installed at around halfway down the wall and not high up near the ceiling. 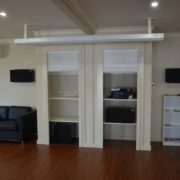 Only then will the sound immerse you when placed at the correct locations, but we understand that this won’t always work especially if the home theatre system is to be installed in a lounge room and another oddly shaped room. So after you find a place halfway down the wall, the next rule you need to look at is that the rear speaker will need to be more or less 90 to 110 degrees on either side from the optimal setting position. For the front speakers, and not to confuse you too much, the general rule here is to work in 1/3 (depending on how far back you are sitting from the screen). The appropriate angle to work from with the front speakers is 22 to 30 degrees from the main seat. 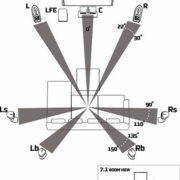 So to sum up, depending on what home theatre system equipment is purchased, either a 5.1 or 7.1, right up to an 11.2 surround sound speaker system, speaker placement will differ and is unique for each custom setup. FACT, there are different sound formats used, the two most important ones are DTS-HD and Dolby TrueHD (at the time if writing this blog in 2014), there are others but not to confuse you anymore then needed, we’ll stick with the current ones. The sound formats listed above has a particular specification on where to place speakers, and this is what we follow when installing a home theatre system. At the other end of the market, there is a format called THX, some movies are designed for THX, and some movie theatre are THX certified, so what does that mean for you? The higher end of the market (but still affordable to most people) are speakers and receivers that are THX certified, so to get the full experience, further work needs to happen to the room to get the full proper effect. Basically, THX is not just another sound format but a set of guideline to meet certain criteria of standards. The extra work to the room would be things like eliminating external sound as well as internal sound from equipment like air conditioner ducts and a projector fans, echoes, audio distortion, unequalised or poor audio as well as picture quality, so calibrating a TV or projector from factory standard will make a big difference. THX is an experience all on its own.